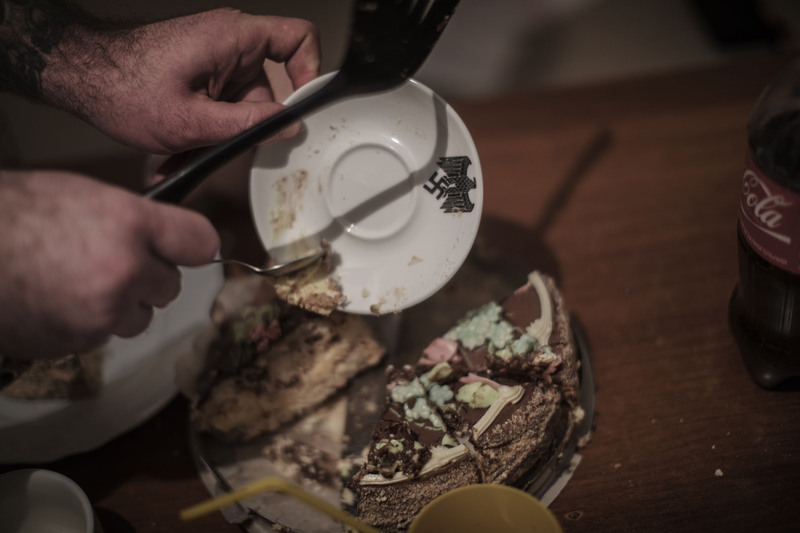 The neo-nazi Evgenij Stojka clears the rest of the desert cake after dinner in his home in the outskirts of Kiev, Ukraine. - I used to beat up immigrants. It didn't matter if it was Jews, muslims, Chinese or leftists. I still hate them, says Evgenij.